Chief Rabbis Metzger and Amar will take part in Kotel prayer at 3:30 PM. They have declared a fast day as well. 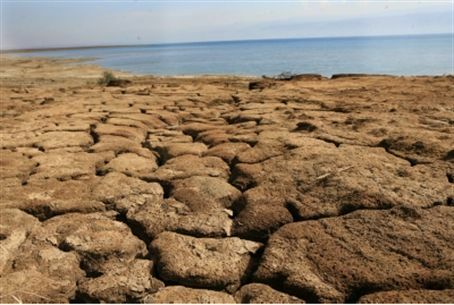 Israel's Chief Ashkenazi Rabbi, Rabbi Yonah Metzger, and his Sephardic counterpart, Rabbi Shlomo Amar, declared Monday a day of fasting and prayer for rain, as the drought continues in Israel. Meteorologists do not expect any rain this week either. The situation is so bad that even secular farmers from kibbutzim – Israel's socialist agricultural cooperatives – are expected to join the prayer session in Jerusalem. A central prayer session for rain will be held at the Kotel Plaza in Jerusalem at 3:30 PM, presided over by the two Chief Rabbis. At the same time, prayers will be held in synagogues throughout Israel. The Head of the Regional Council Center, Shmulik Rifman, a member of secular-socialist kibbutz Revivim, called upon residents of all regional authorities to take part in the prayers and ask for rain. In Judea and Samaria, special headquarters have been set up to help make transport arrangements for bringing as many as people as possible to the Kotel. The head of the religious Amit educational network, Dr. Amnon Eldar, announced that prayers for rain would be held in all of Amit's 85 schools nationwide, and called on schools to try and bring the pupils to the Kotel. World Bnei Akiva also joined the Chief Rabbis' initiative and promised that Bnei Akiva emissaries worldwide would arrange prayers for rainfall in Israel.